Kids can race 2 at a time thru this 2 lane inflatable obstacle course. Recommended for kids 14 years old and under. 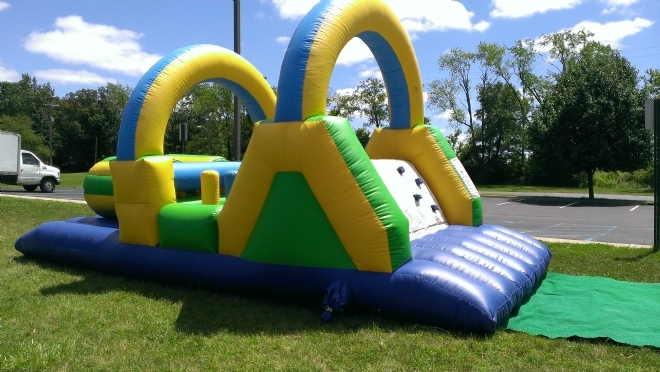 The 26 ft. inflatable Obstacle course is an ideal alternative to the standard bounce house especially for school events.